The underground world of buying and selling illegal drugs online is just as shady as you would expect. And the latest example comes with the shutdown of a “deep Web” site called Sheep Marketplace, which shut down permanently this past weekend after its operator claimed that a hacker made off with more than $5 million worth of users’ Bitcoins. Despite the conciliatory tone, many users believe they were also scammed by the Sheep Marketplace operator, who allowed users to deposit Bitcoins for days after the site was hacked, but didn’t let anyone take their digital money out of the system, according to users of the site on Reddit. In total, Sheep Marketplace’s operator appears to have walked away with nearly 40,000 Bitcoins, which are currently worth more than $1,000 each. 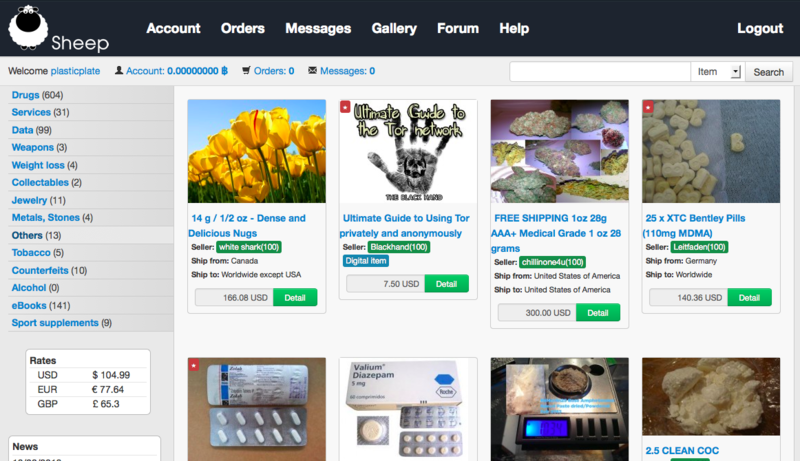 The rise of Sheep Marketplace followed the FBI’s shutdown of Silk Road, which became the world’s most active online store for illegal drugs during its two years of operation. Another illegal drug bazaar, Black Market Reloaded, or BMR, also saw its userbase skyrocket after the fall of Silk Road. But with Sheep Marketplace shut down, BMR’s operators don’t believe they can withstand the influx of new users. As Forbes reports, BMR is also scheduled to shut down in the coming days. Of course, most of us would never dream of buying illegal drugs online. But that doesn’t mean we can’t grab some popcorn and watch as the real-life drama of the dark side of the Web plays out in front of us.